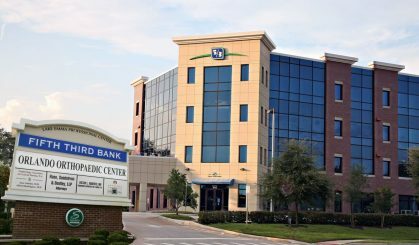 The Lake Mary Office of Orlando Orthopaedic Center conveniently located off of I-4 and Lake Mary Blvd. The facility is located on the fourth floor of the 5/3rd Bank. The address is 766 North Sun Drive, Suite 4000. The Lake Mary office features 7 orthopaedic surgeons offering a variety of orthopaedic specialties.